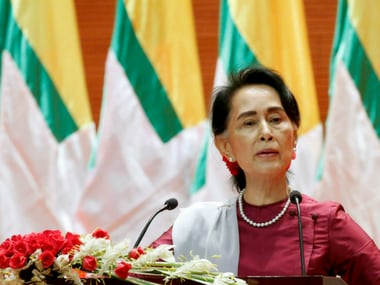 A Myanmar government official defended the silence of civilian leader Aung San Suu Kyi on the arrests of two Reuters journalists by saying that criticising the judicial system would be tantamount to contempt of court. 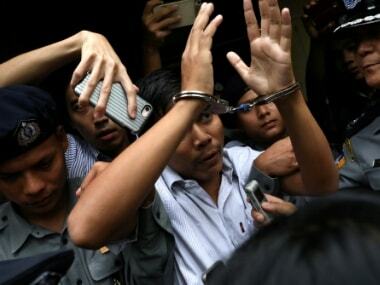 New United Nations rights chief Michelle Bachelet said Monday she was "shocked" by Myanmar's jailing of two Reuters journalists for seven years and called for their immediate release. The federal indictment handed down in Sacramento accuses Matthew Keys of being a "terminated employee" of the Tribune Co. who gave hackers the information they needed to login to the publisher's computer system in December 2010.